It‘s never been easier to get to Iceland. 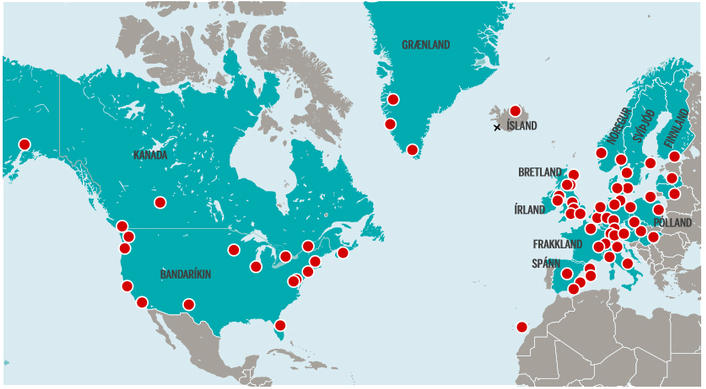 This year, 27 commercial airlines fly directly to Iceland from 78 destinations all over Europe and North America. This is a big leap from last year when the destinations were mere 46. Back in 2007, ten years ago, the destinations were only18. The wide range of available destinations with direct flights is a luxury Icelanders are still getting to know. It also makes travelling to Iceland that much easier. The destinations in Europe are 58, thereof are 8 destination in the Scandinavian Nordic Countries. 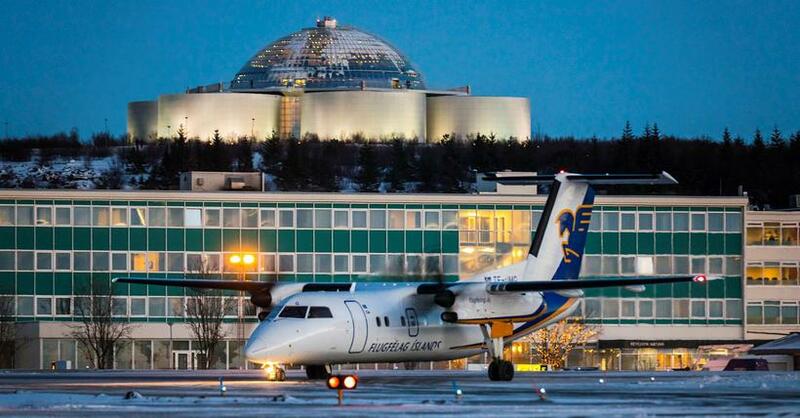 In North America, the destinations are 19 and there is one domestic destination, as there are flights from Keflavik Airport to Akureyri, North Iceland. You can even book your flight directly through Iceland Monitor. Air Berlin, Air Iceland, British Airways, Delta, easyJet, Icelandair, Norwegian, SAS, Vueling, Wizz Air and WOW air are all commercial airlines that fly to Iceland all year around. 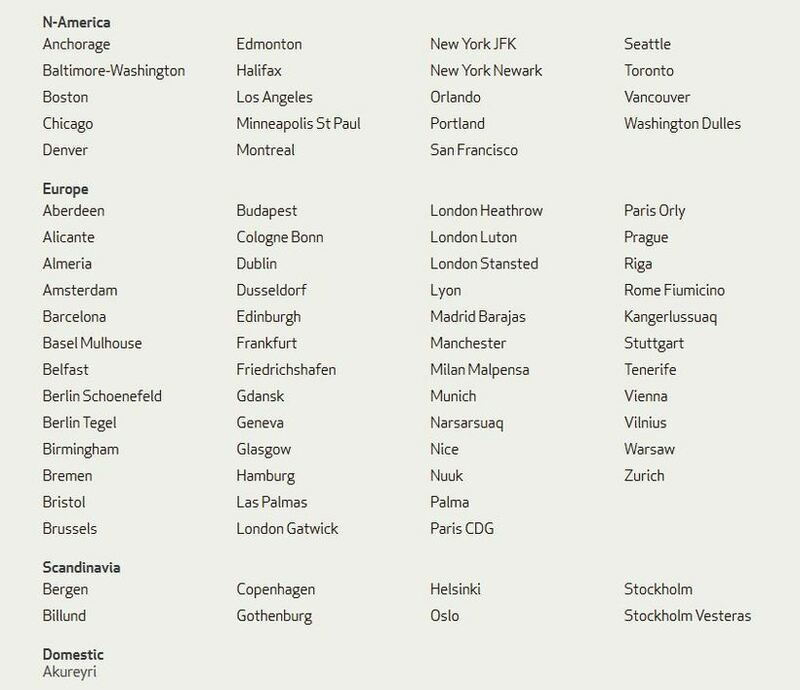 Air Baltic, Air Greenland, Atlantic Airways, Austrian Airlines, Edelweiss Air, Eurowings, Germania, Iberia Express, Lufthansa, Luxair, NIKI, Primera Air, Sun Express, ThomsonFly, Transavia and Travel Service however only fly to Iceland part of the year.